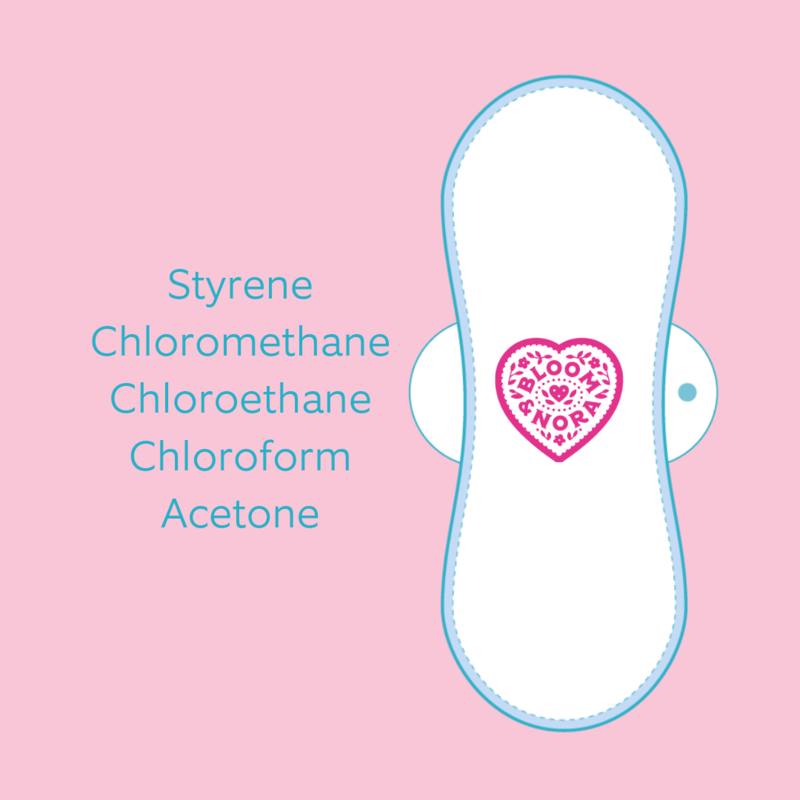 Five chemicals you won’t find in our Reusable Sanitary Pads. Chemicals you won’t find in Bloom & Nora Reusable Sanitary pads. Reusable sanitary pads, really? We are often met with that response but more and more people are making the switch and not just for environmental reasons either. Imagine this, Aunt Flo is on her way and you stock up on the essentials, the hot water bottle is at the ready and the emergency chocolate is in the fridge. You are poised and ready to be kind to yourself, but do you know what kind of chemicals are in your disposable sanitary products…and more importantly, are they being kind to you? The short answer is no. All present in a market-leading brand of sanitary products, right now on the supermarket shelves. It’s scary to think of these are sitting so close to a very sensitive and porous part of our bodies. With Bloom & Nora reusable sanitary pads you can have a have a worry-free period. Our pads are completely Oekotex certified which means there are no harmful chemicals or irritants in the pads, or next to your skin. You can learn more about the benefits of making the switch to reusable sanitary pads here.